Through children’s literature we can study how social change and cultural values can determine what is suitable for children, and how books and stories reflect the times in which they were written. This is a great blog post which illustrates the importance and distinctiveness of children’s literature and its different representations of children’s worlds. I have been nominated by for my first blogging award! Thank you Donna M. Monnig for the honour. Donna’s blog Rhyme N Review is full of her poems and book reviews. She also talked about books, art, music and movies. 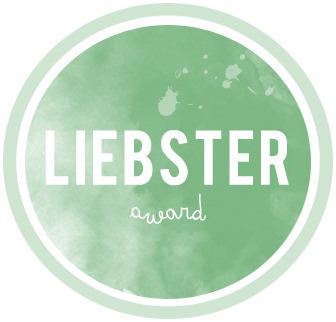 The Liebster Award is very unique in the fact it brings recognition to the smaller blogs of the ‘verse. With that in mind, all of the nominated blogs will have under 200 followers. My favourite genre of music is classic rock. What is your favorite poem? – It’s not prestigious, it’s not deep or meaningful, but I just love The Song of Hiawatha by Henry Wadsworth Longfellow. Who’s your favorite poet? – I couldn’t possible pick just one. I would have to put them into categories (I do work in a library after all). My favourite children’s poet is probably Allan Ahlberg because reading his Heard it in the Playground as a child I made me want to write my own poems. My favourite contemporary poet is probably Carol Ann Duffy. I love how she structures her poems to create meaning in both line and sentence. My favourite poem of hers is Mean Time. I also like Christina Rossetti, William Blake, Rudyard Kipling, Shakespeare… the list could go on. Do you prefer rhyming poetry or free verse? – I like both. I usually prefer reading free verse but I love the sound of a rhyming rhythmic piece. I prefer writing in rhyme for that reason. What compels you to blog? 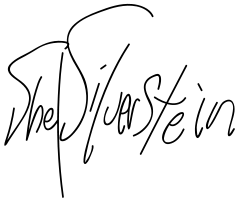 – This blog began as a place to share my creative writing, and my journey as a writer, but it has turned into more of a general blog about anything vaguely book-related. It’s nice to be a part of an online community of like-minded people. The communication that we have is why I continue to blog. What’s your favorite genre? – I like reading the classics and literary fiction but I also enjoy postmodernist literature, dystopian science fiction, children’s literature (including picture books) comic books and graphic novels, and anything with travel or action. What’s your favorite book? – Catch-22 by Joseph Heller. I read it for the first time last year but I know I will read it again and again. When I was reading it I re-read passages before moving on because I wanted it to last. I kept on telling everyone about what crazy thing Orr just said, what insane logic Milo Minderbinder just applied, what surreal situation Doc Daneeka just got into. I became obsessed, and in love with Yossarian. I changed the tagline on my blog to a line from the character Orr. If you could do anything in the world, what would it be? – If I didn’t have to work for a living, I would travel, write, illustrate, look after abandoned dogs, protect endagered species, get more tattoos, drive fast cars, learn to be a better pianist and do a lot of scuba-diving. What do you wish people would write “less” about? – It depends on the platform but generally people complain about their lives too much. Be grateful to be alive, people. Facebook is especially bad for this, and for embellishing the truth. It’s like Descartes gone wrong. “I lie therefore it is”. What does writing mean to you? – I would like for people to see and enjoy my writing but ultimately I write for me. How would you describe your blog/s? Do you prefer the sun or snow? Have you ever had a bone broken? If you could be friends with a celebrity, who would it be? Where do you aspire to be five years from now? 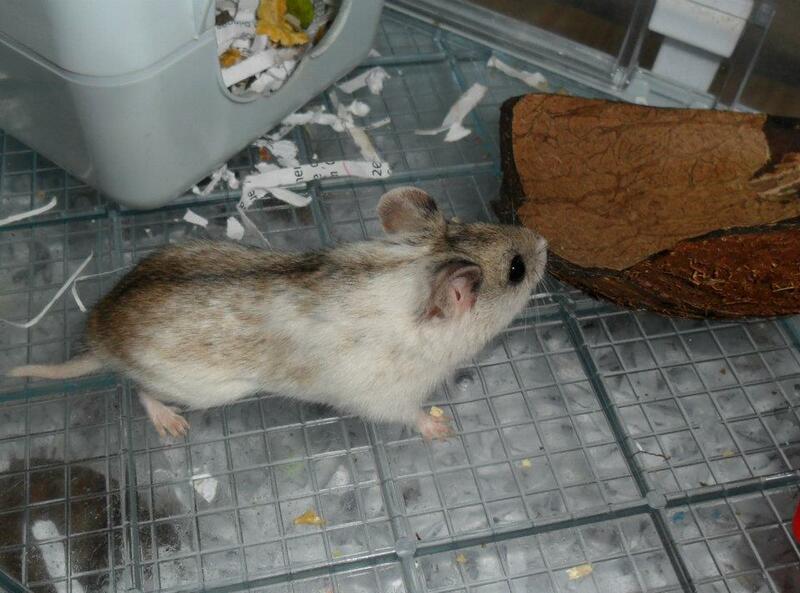 O hamster mine, where are you roaming? That can be placed in your coconut bowl. Come little Bella, you’ll soon be eating. 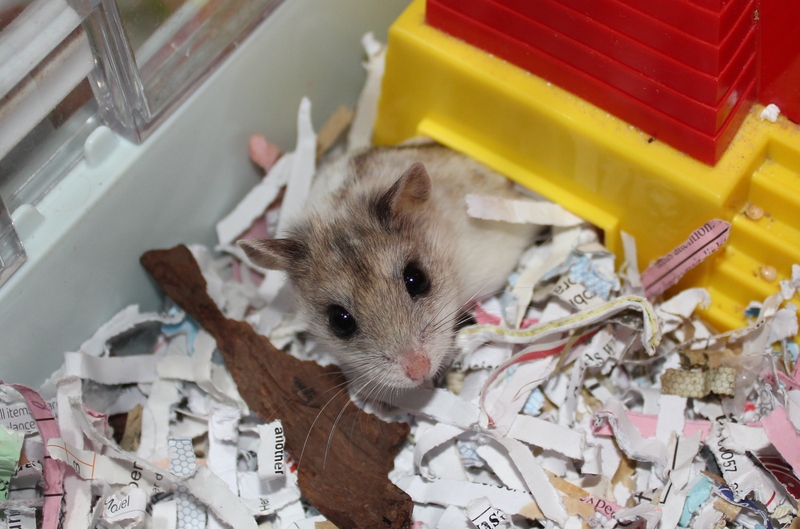 Every wise hamster owner doth know. Framed: limited glimpse ‘into’ a world. 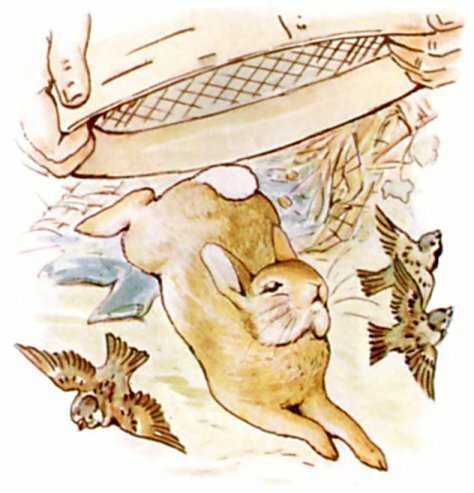 By setting the viewpoint low to the ground with restricted vision of Peter’s pursuer, Beatrix potter creates tension for the reader. The close-up position allows us to feel his fear and desperation. We are not quite under the sieve with Peter, but close enough to see the danger he is in. The movement of the birds shows us the force of the sieve as it is thrust down upon him. 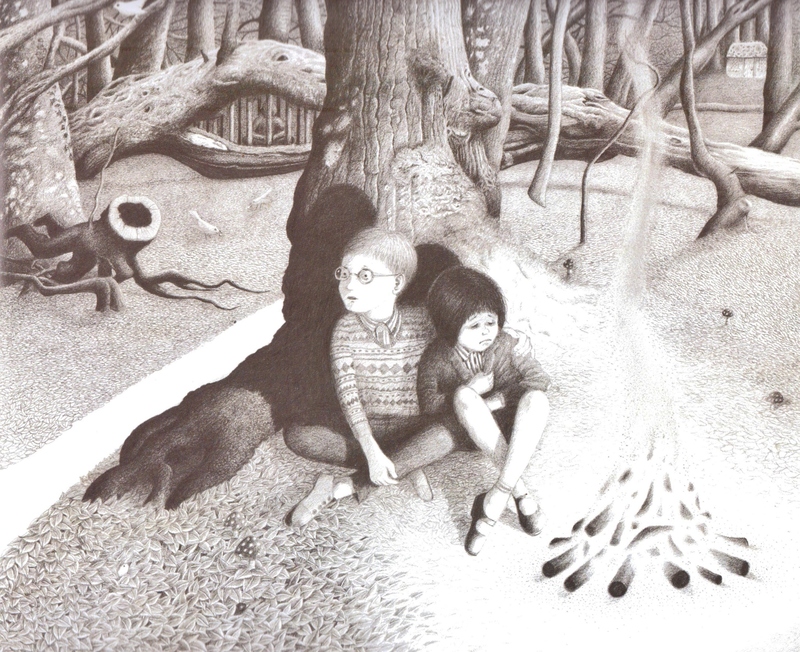 Little Hansel and Gretel are dwarfed by the menacing looking trees in the imposing forest. The picture is unframed. We are in the forest with them, looking down at their vulnerable faces. Max is king. 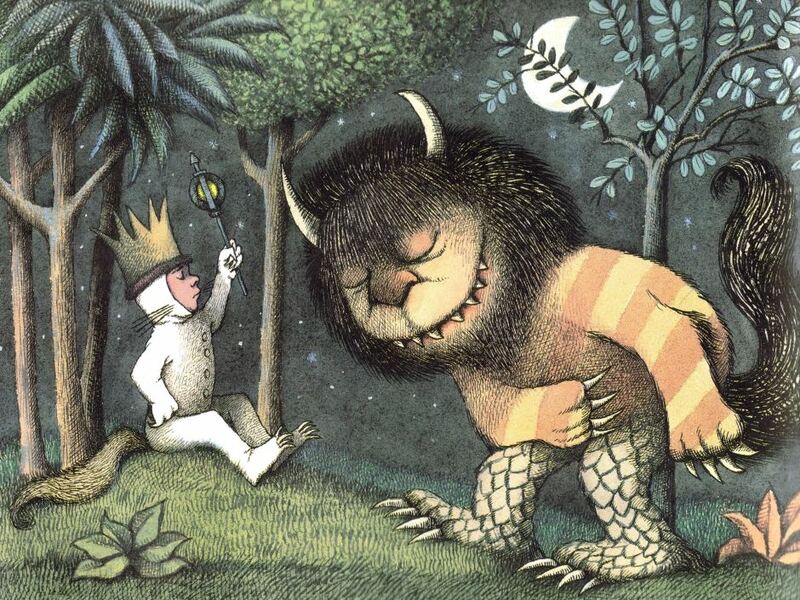 Although he is physically smaller than the wild thing, his positioning on the grassy mound and their relative postures bring them almost level with each other. Unlike Hansel and Gretel above, Max is not much smaller than the trees.